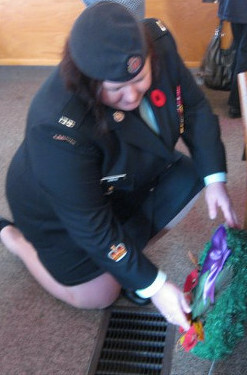 Emma Geneau laying the wreath of Remembrance. 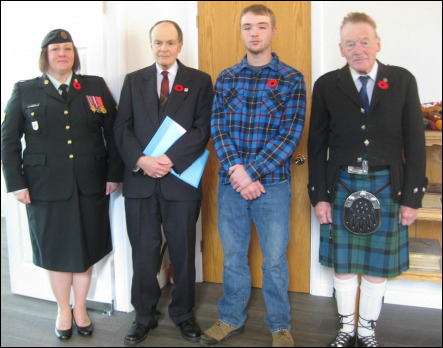 Lewis Morgan on the pipes, Bill Elderkin leading the Remembrance service, Brooke-Lyn Power ringing the bell and Emma Geneau representing Canada's armed forces. 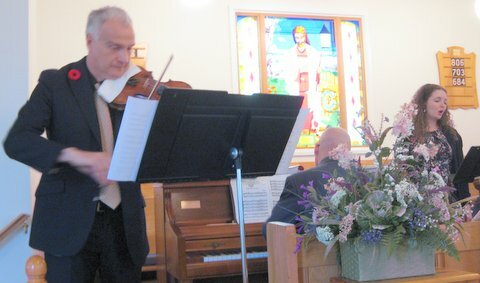 Special friend and repeat guest Jean-Yves Chevrolat shares his gift of music with New Maryland United Church at this special service of Remembrance.